When looking for someone to perform glass repair, you want to be sure that you pick experienced professionals who will perform quality work on your delicate glass. You can rely on Kennesaw Glass & Mirror to provide such service, as we have been in business since 1987 and have extensive experience in repairing, replacing, and creating custom glass products of all kinds. At Kennesaw Glass & Mirror, we strive to provide exceptional customer service. Our glaziers have an average of 20 years of industry experience, so you can be sure you will receive impeccable craftsmanship. Furthermore, we stock our glass right here at our workshop in the Canton area, allowing us to provide quick turnaround times so that you can get your glass repaired as soon as possible. If the broken glass in your home or business is creating an unsafe environment, then contact Kennesaw Glass & Mirror immediately for emergency glass repair services by calling 678-300-4393. We have safe ways of cleaning up and removing shards of glass, and can perform a repair or replacement quickly and efficiently so that your home or business is clean and secure again. 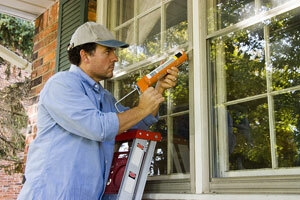 To learn more about the glass repair services we provide in the Canton area, contact Kennesaw Glass & Mirror today.